If you work behind a bar or in retail, you’ll need to know how to spot fake notes. This is a skill that involves some subtly because you don’t want the customer to believe that you’re mistrusting them, even though you are of course. At the same time, you need to make sure that you only accept official currency. We’ll tell you how to balance this. 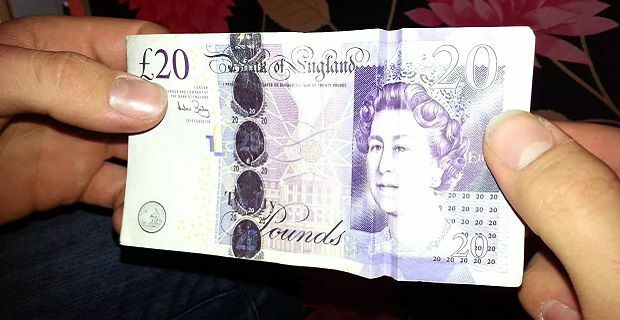 Genuine Bank of England notes have many features that distinguish them from fake notes. They’re made to a far higher standard and to more rigorous demands than most counterfeit notes. The feel of the paper and the raised print are the first two things you should take care to notice. You can do this subtly while you determine which note you’ve been passed. This is something that comes with experience of handling many genuine notes. Take time to be aware of the security features that are unique to each note including the holographic strip on the £20 and the motion thread found on genuine £50 notes. You can get more information on these specific features at bankofengland.co.uk. If you are a proprietor, a UV lamp can empower your employees. A UV lamp with a 365 nanometres brightness is the right one for checking the fluorescent features on all bank notes. The current advice from the Bank of England is that you should stay clear of LED devices to check your notes as they normally emit light above the 365 nanometres you need. Detector pens are also useful for finding counterfeit notes. Some fake notes can be found with these but not all so this tool is pretty limited. It works by creating a chemical reaction between the paper and the ink so you might find that older pens become unreliable.